Records are there to inspire, but are also meant to be broken. 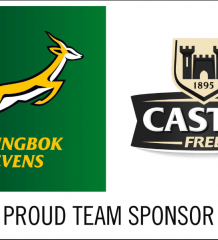 It also allows for reflection on a particular achievement, which is what will be the most satisfying aspect as Springbok Sevens stalwart Kyle Brown runs out at Hamilton’s FMG Stadium Waikato on Saturday for the first day of the HSBC New Zealand Sevens. If Brown gets a run against Kenya in South Africa’s opening match, it will mark the 68thtime that he represents his country in the HSBC World Rugby Sevens Series, equalling the mark set in 2015 by Frankie Horne. Provided that he comes through the NZ tournament unscathed, Brown will set a new mark in Sydney next weekend. Horne achieved his World Series record of 68 consecutive tournaments between 2007 and 2015 and to Brown, this will always remain a unique achievement. “What Frankie did was truly remarkable, but for me the significance of his contribution to Springbok Sevens as a whole outweighs any record he has set,” said Brown. Brown looked set to pass this mark earlier in his career, but a knee injury sustained at the HBSC Cape Town Sevens in 2016 resulted in him only playing only in two tournaments that season. Last year, having fully recovered, he injured his other knee while playing in Singapore, resulting in him missing the last two tournaments in the series. “These injuries made me realise how significant Frankie’s record was – he played for eight consecutive years and it took me 10 to reach the same mark,” elaborated Brown, who applauded the medical staff with the team and at the Stellenbosch Academy of Sport, where the Blitzboks are based. Brown captained the side for many years before stepping down, and did so for the 44thtime at last year’s inaugural Hamilton tournament when Philip Snyman was out injured. Unbound from the captaincy – and with the knowledge that he is getting towards the end of his career – helped him to enjoy playing for the Blitzboks more. “In the beginning winning was everything, but playing with a smile on my face has been the biggest reward in the last couple of years. This is really such a great honour and privilege to be able to do this,” Brown said. ● On the other side of the scale is Dewald Human, six tournaments into his career as a Blitzbok. 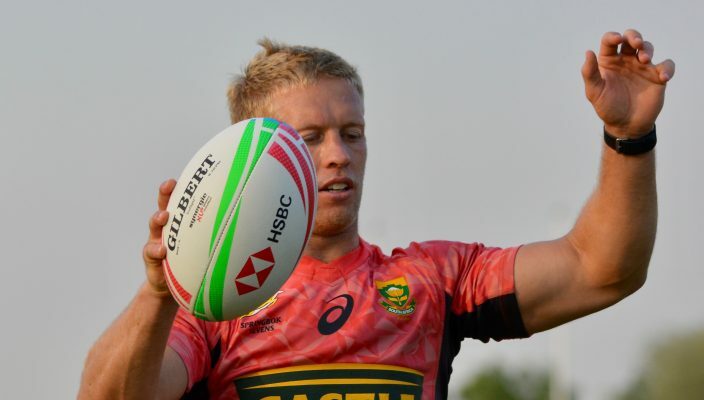 The diminutive Human, who was named Player of the Final at the HSBC Paris Sevens last year where the Blitzboks claimed their second successive World Series crown, is set to play a starting role this time around, at flyhalf ahead of the more experienced Justin Geduld. “It is about using the opportunities when they present themselves,” said the 23-year-old Human. “I feel I did well when required to and starting this weekend will provide another opportunity. I have confidence in my abilities and would like to go out and play, but it is also about the team effort.